Select from our services below and give us a call today to schedule your cleaning. 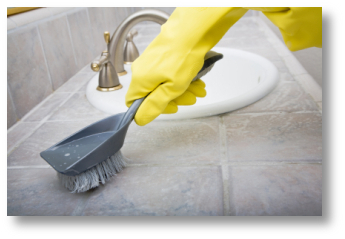 Austin All Maids provides you with very comprehensive cleaning services – and we think you’ll agree! Our team of reliable maids will tackle the dirty work for you – whether you need a thorough one-time cleaning, periodic professional cleaning of your home or small office, or regular cleaning services in Austin and surrounding communities. Call Austin All Maids now at 512-490-6633 to schedule your cleaning or for a complimentary cost estimate – or use our free price estimator for an instant online price quote. We know there are many Austin cleaning services to choose from, but no one can provide more consistent quality and competitive prices than Austin All Maids. Find out for yourself. Give us a call. Our top priority is your complete satisfaction with Austin All Maids cleaning services. If you are not completely satisfied with our work, simply call us within one business day of the cleaning service and we will schedule a return visit to get the job done right at no additional cost. Rely on Austin All Maids cleaning service and be assured of quality results with our no hassle guarantee. Call Austin All Maids at 512-490-6633 now for more information or to schedule our professional housekeeping services.